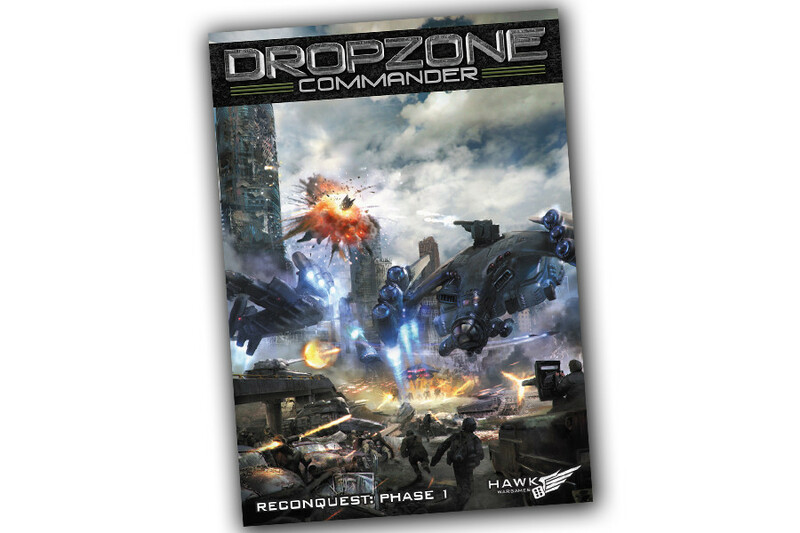 Yesterday saw the get-together of us gamers here at the floating citadel and my first real game of the much talked about Dropzone Commander. I had heard some good reports of DZC from my fellows; notably Zombiepirate and Cerebus and after playing a demo game at Salute last month I decided to dish out the cash and go with the Shaltari. I’ve spent the past few weeks devouring the rules, assembling models and I have now started to paint a few. Above are the ones I’ve finished. Yesterday’s game was a bit of an eye-opener, as none of us have seen the Shaltari in action, so I’d like to share my thoughts on the game as a whole and the Shaltari in particular. In one of those rarities in gaming the army actually comes to bang on 1500pts. The Shaltari are different from the other armies in that their transports (the teleportation gates) are not attached to specific units, but instead form a pool from which you activate the chosen gate with any battlegroup you like as the game progresses. Each one can only be activated once though. So how did the battle go? My opponent was Zombiepirate with his UCM army, and then came my first surprise. In an event that almost led to a collapse in the space-time continuum and the end of the universe as we know it…Zombiepirate had more stuff painted than me! To be fair to my long time friend and gaming opponent, he has been putting in some work on his DZC models. We had decided on the basic scenario of a cityscape with 5 objectives to capture and take off the table (you get one victory point if you control an objective and 2 if you get it off the table). The game began with me being lucky, getting both the initiative and having my reserve fighter turning up to perform strafing runs (more about this brave pilot later). All of the units are kept in readiness off the table and arrive via transports when the battlegroup becomes available. As units cannot shoot on a turn they disembark (or dematerialize in my case) the only shots came from my fighter who swooped in and took out a light transport carrying the Wolverine scouts. Sadly both buggies survived the crash. Zombiepirate advanced on the two objectives nearest to him on my right flank and also to the one in the centre. I also went for the centre and an objective on my left. This is I think, one of the biggest differences with DZC over other gaming systems; it is designed around objective grabs, not destruction of the enemy. DZC is more like modern warfare’s surgical strikes and rapid insertion and extraction as opposed to a more World War I style annihilation found in other games such as 40K. This I found to be a big difference in gaming style. As a long time Tyranid player, I am use to just throwing my troops at stuff. With this game I really had to think and there were moments where I took a few minutes to decide which battlegroup to activate, nevermind where & what they were going to do. As the game progressed, there were units blowing up a plenty. The first big casualty was my Coyote Command Warstrider, which got taken out by the UCM tanks and some excellent shooting on the part of Zombiepirate. My shield rolls failed me, but luckily the escape module worked and my commander survived the game (unlike the UCM commander), allowing me to still use the command cards. Casualties on my side were fairly light. It may only be a 5+ save those shields give me, but I made some fantastic rolls. My fighter pilot gained a promotion when he flew threw the entire UCM AA fire to strike the heavy dropship and come out the other end without so much as the paint being scratched. The centre witnessed the biggest rumble of the game with opposing infantry fighting room-to-room for the objective and my Firstborns showing why they are elite infantry and cutting apart the UCM infantry. The game eventually ended up with Zombiepirate scoring 4 VP to my 3. So victory to the UCM. This I put down mostly to lack of experience on my part. As Cerebus can attest, I left an infantry unit out of most of the game instead of sending it to the final objective earlier in the game…I just thought too much about destroying my enemy instead of objectives… oh well learning curve. Shaltari army thoughts and the things I learnt. They make a very different army. Not having dedicated transports means you can do what I did a few times and relocate units across the battlefield in seconds, so long as the gates are there. Such shannigans can be really good when timed well. The disadvantage to this, any unit that dematerializes cannot shoot that turn. The fact that Shaltari gates continue to carry objectives when a unit passes through it, means that the gate can get the objective off the field whilst your unit searches for another. 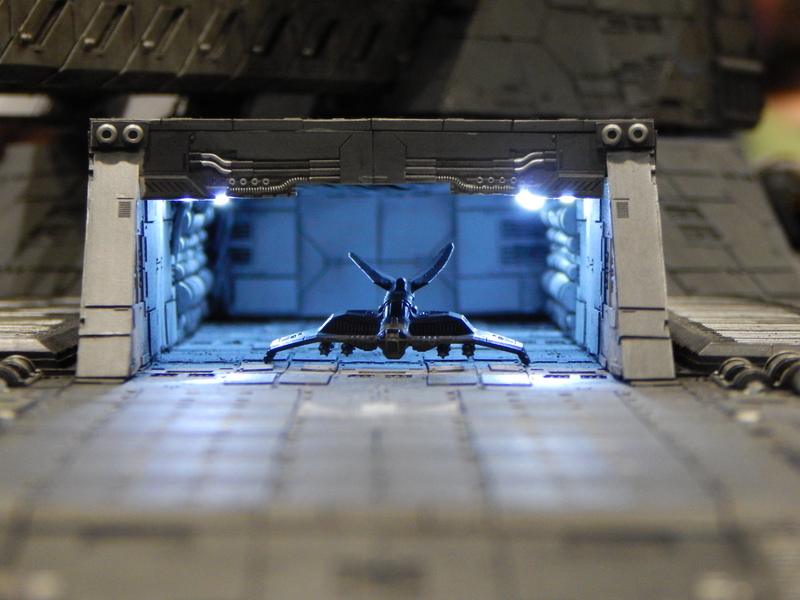 The 30″ movement of the light gate is scarily fast in a game where most ground units move 4″ or less. 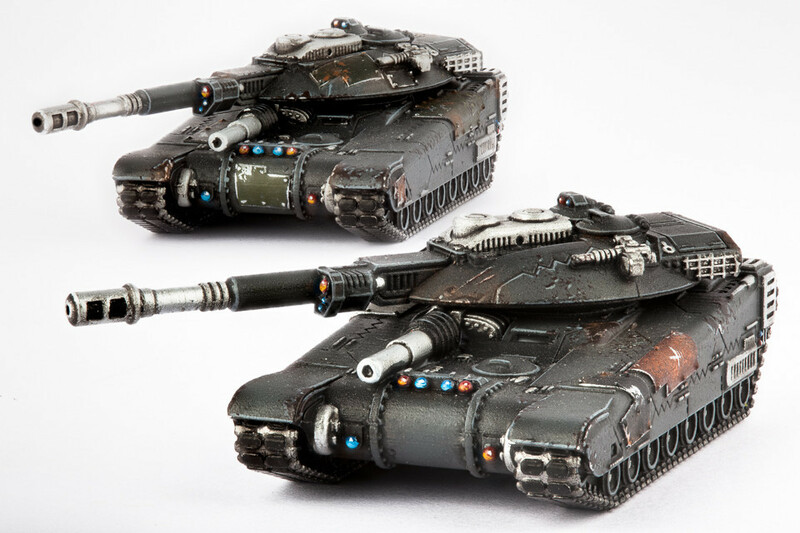 The tanks have some awesome firepower (though I do hate the armour 10 on the UCM…it makes them so hard to destroy). I would recommend always moving 6″ to give the enemy the to hit penalty and help make the most of your armour 7 and 5+ save tanks. AA vehicles are a MUST in this game. Having my fighter flying up and down the UCM lines, picking out targets was a great advantage…though after my game I’d recommend attack small-medium transports as they will carry the infantry & objectives off the table…and not the big transports which deliver the tanks (once they’ve dropped the armour they really don’t do much else). Without a save aircraft go down easily to AA fire and having good flak cover means your enemy really has to think about where to put their air support and “do I risk it?” moments are common. The warstriders…mixed feelings about these. My commander was unlucky getting one-shotted in the second turn. The Jaguar performed well, taking out tanks and coming with its own AA guns extends your flak shield. The Ocelot however I’m not sure about. It is one of my favorite looking Shaltari models, but I found that its one-shot particle cannon not much use. The problem is that it cannot move & fire, which restricts it somewhat and although the gun is epic in its power, it’s still only 1 shot. The best use I can see for it is when your enemy brings their own heavy armour which will have multiple hit points, then the high chance of doing double damage will really pay off. 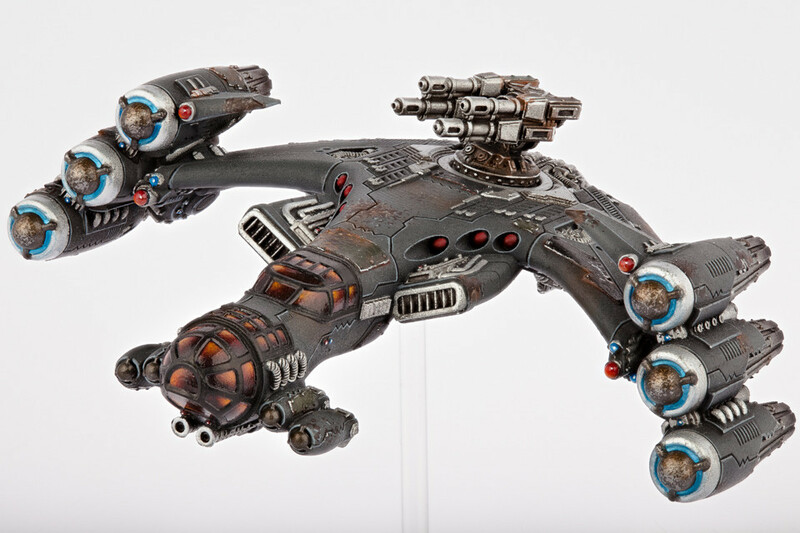 The Thunderbird Gunships are my other favorite Shaltari model, but they need to be kept out of AA range as they are vulnerable to it. 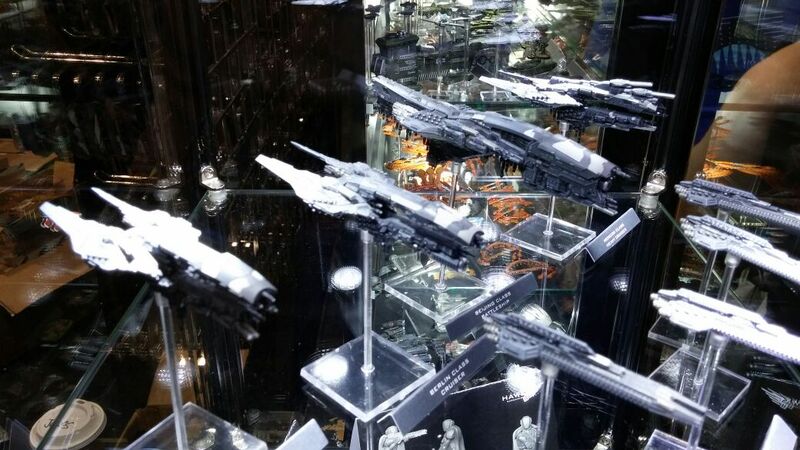 I’d still keep them in the army as if there is no AA guns, these units can roam free around the table. After playing the game, I have realised what my fellow gamers have; Infantry is key. You really need to get as much Infantry as possible…somewhat a weakness of the Shaltari as their Infantry only come in units of 2 bases (opposed to 3 for most armies) and they only have 3 hit points (unlike the 5 of most armies). This being said they are very dangerous in combat. With an Armour of 4 they can only be wounded on 6s in close combat, so get them into a building and they will be almost impossible to take out. The Firstborns are even tougher having 12 attacks per base and a 4+ save in combat. It was they who won me the combat in the centre and killed 3 bases on UCM infantry in a single combat with only 1 hit in return. 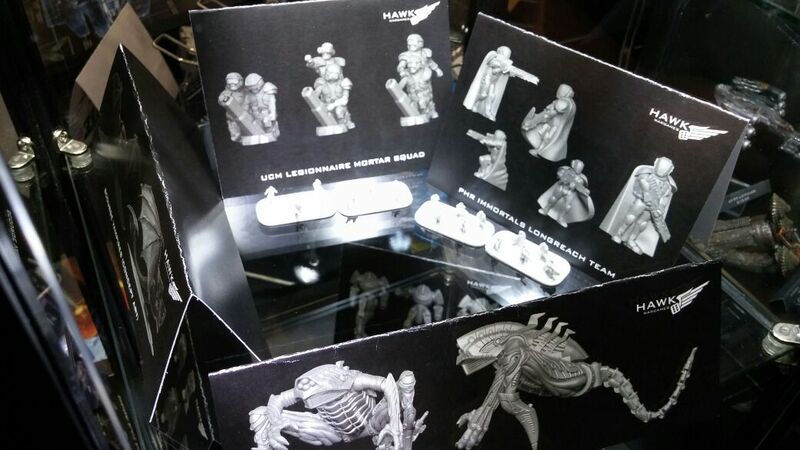 Another unit that will be a must I think. Conclusions of the Shaltari; Use your speed as much as you can: your skimmers are harder to hit if they move 6″ or more, the ability to move your infantry from objective holding in a building, to gate, to inside another building to find another objective is fantastic. The gates holding the objectives frees up your limited supply of infantry to look for another. This is perhaps their biggest tactical advantage. The 5+ save is good, but don’t rely on it all the time. My fighter pilot go lucky, my commander less so. As for the game itself, different and fantastic. It is very different to anything else I have played and really makes you think about your army choices and how you are playing. You can’t go into autopilot gaming mode, you need to think. Great game, look forward to more. 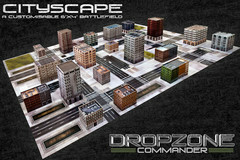 More grist for the Dropzone mill today as we take a look at the Cityscape terrain set from Hawk Wargames. When Carabus and I took a trip to visit Hawk and playtest the game prior to release we got to use the display terrain that we’d seen at Salute and that was in all the artwork. Dave explained about the customisation of the tiles and that they were going to be a premium product not designed for general consumption. I don’t think anyone was expecting it to be quite as expensive as it was, but there we go. 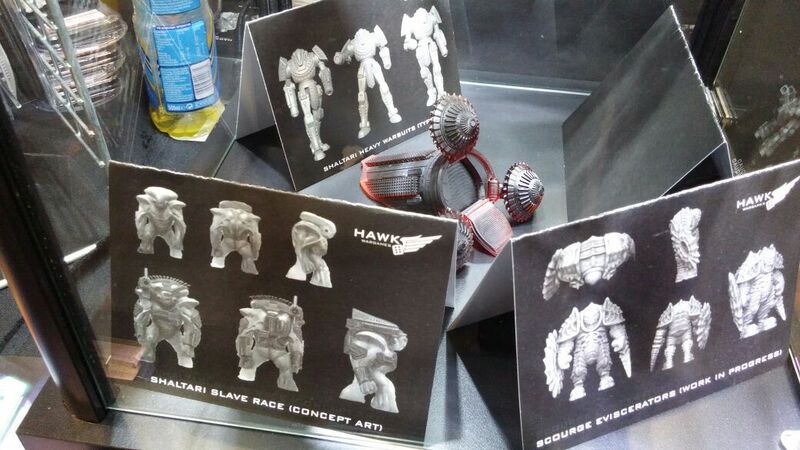 Hawk also did release a lot of their terrain as free downloads which is more than a lot of other companies do. 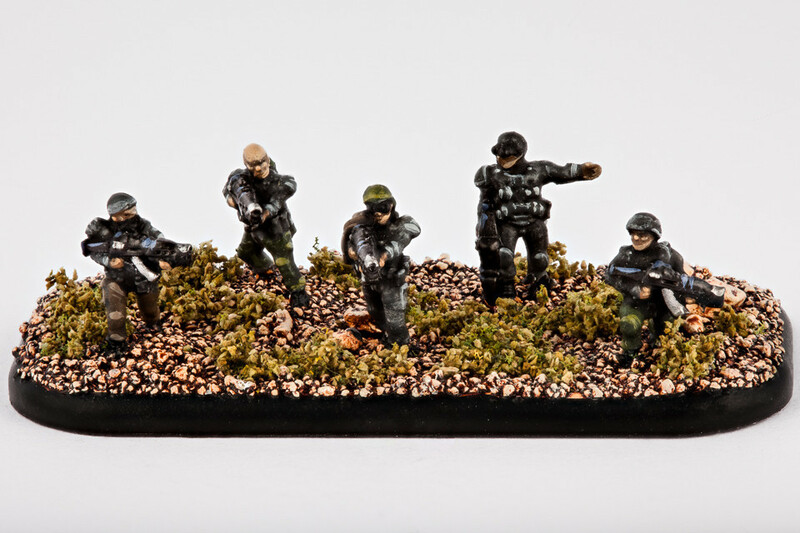 Still, with a 10mm scale game rather than the far more prevalent 28mm we’re used to dealing with getting the right terrain means getting something in fresh rather than reusing something bought years ago. 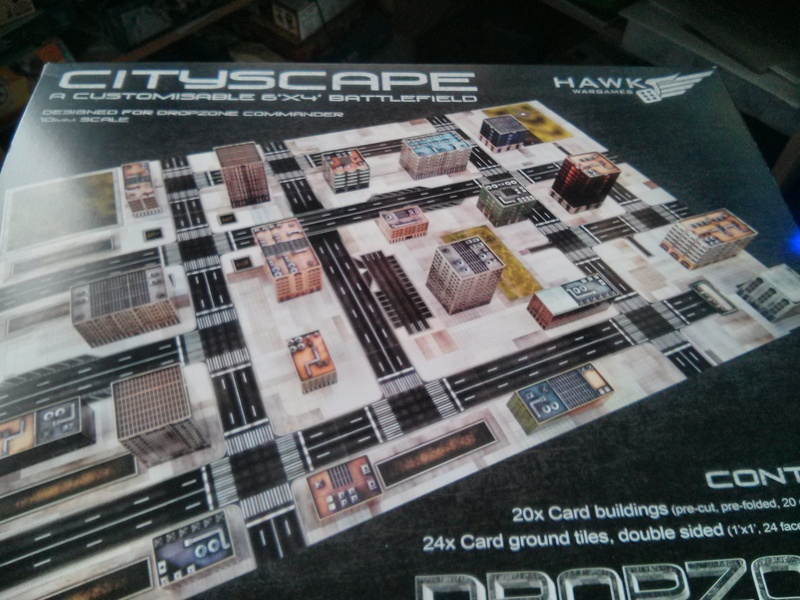 I’d seen the cityscape on Hawk’s website but not really given it a thought, I mean, a 6′ x 4′ battlefield for £30, can’t be all that good can it? As we kind of experience a gaming drought post Salute last year things around the floating citadel just didn’t play out as we’d all hoped. 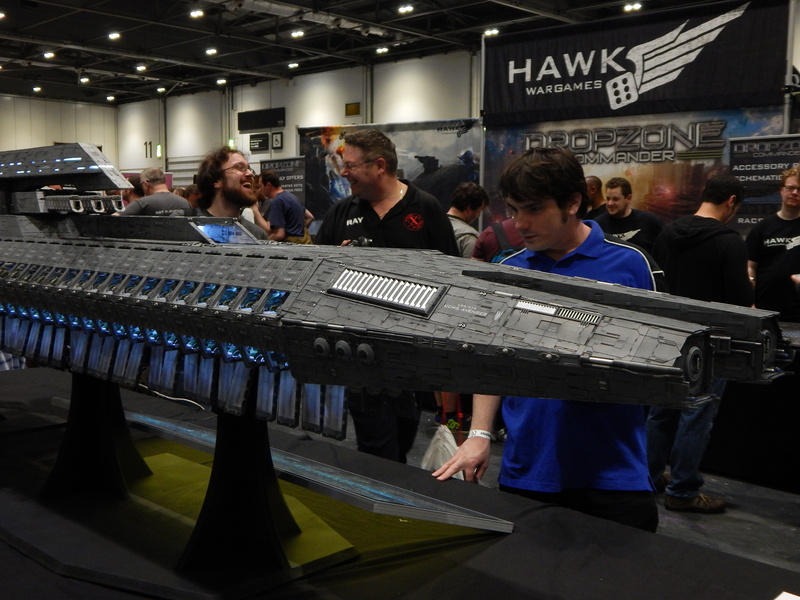 This meant that we didn’t get to see our DzC stuff on the table, nor show it off to anyone else as we had planned to do. 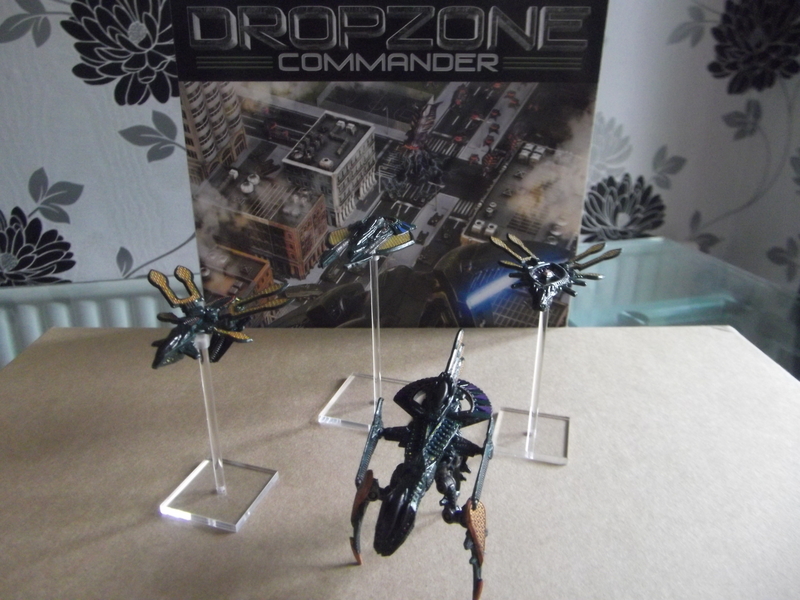 So it was that when we went to Salute this year Dropzone Commander wasn’t really on our radar. We planned on stopping by and checking in with Dave but not much else other than that. Fate it seems like to give us a good nudge every now and again. Gribblin and nBreaker got to enjoy a demo game, suitably impressed they bought in, as we knew they would. However, we also got to see the Cityscape up close and personal. It may only be card but it’s of a very high quality and looked excellent. Free buildings from the kit were being handed out on the stand too so we got to have a quick look at what they were like. For £30 this seemed like a steal now that I’d clapped eyes on the things so I picked one up to give us a battlefield that would be compliant with the scale, the objective based nature of the game and friendly on the wallet. First up I need to tell you that the thing is heavy! We’ve actually got two of the things so I spent a lot of time with plastic bag handles trying to sever my fingers through the afternoon. This will also mean that we can have more than one game going at a time, or just use a really huge battlefield in a multiplayer game. When you open the box up everything is nice and securely padded with bubble wrap and it does feel like a meaty package. When you open it up you’re treated to all the flat packed buildings, pre-scored to make for easy assembly. 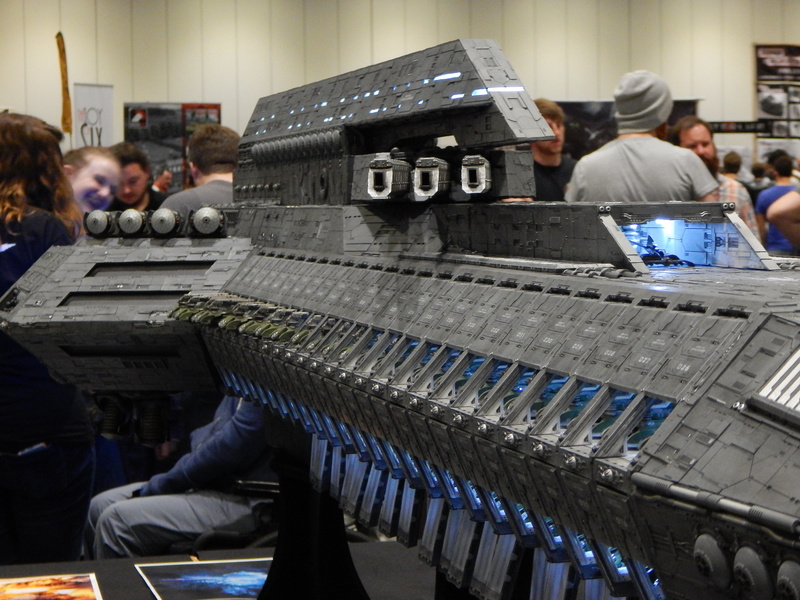 I spent a couple of hours on Saturday putting the whole thing together. 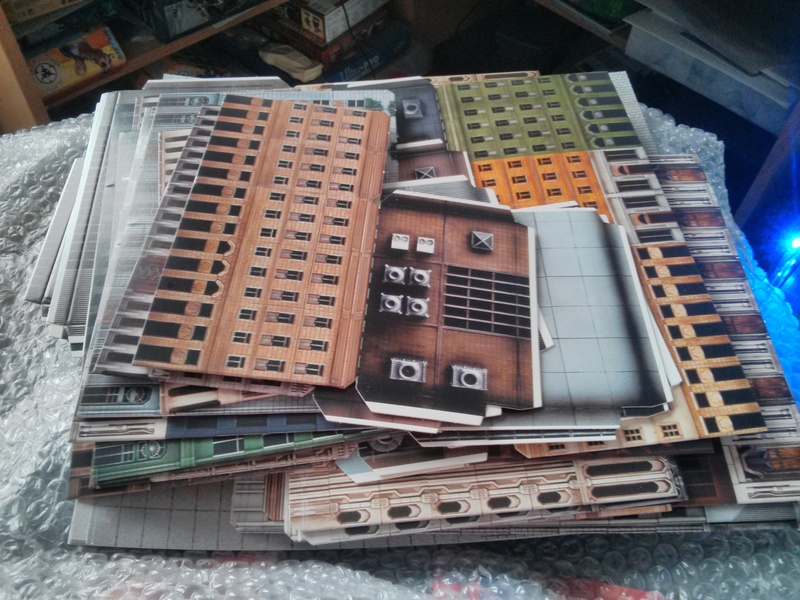 There’s a large stack of double-sided base tiles to use too. 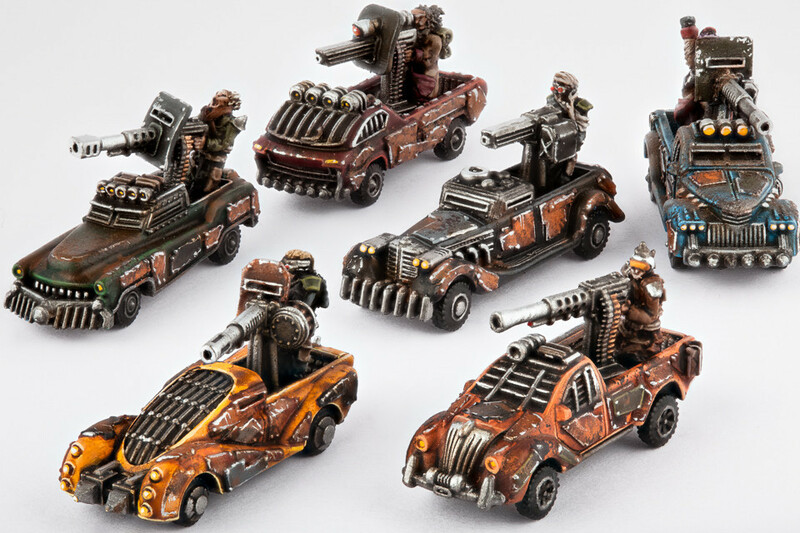 You may be better off choosing a layout and then gluing these to a board to give them some stability and stop them from moving on the table although obviously you’ll then have to store yet more terrain boards. This works really well and I found that the glue stuck very quickly using this method. 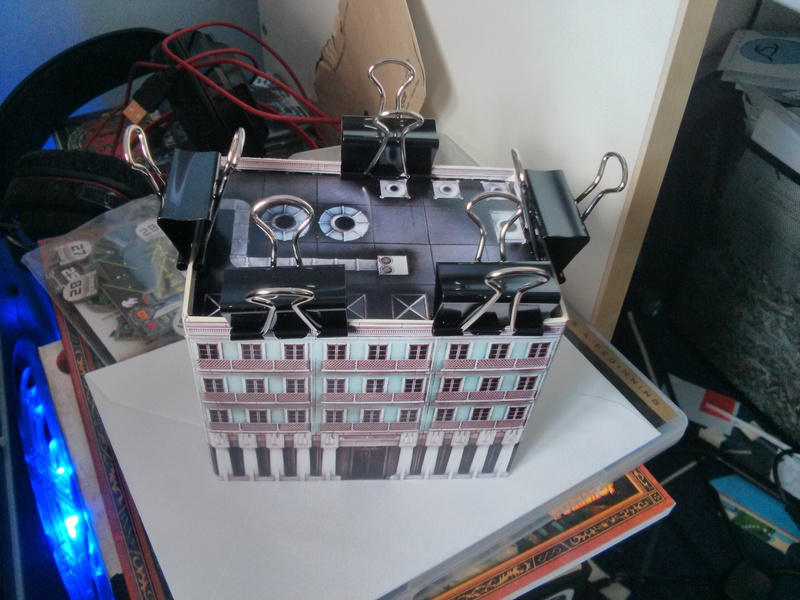 I only had the one pack of clips, which wasn’t a problem but I’d suggest people get two if they want to try assembly in this way as it would have just been a nicer experience if I wasn’t taking them off and using them again on the same walls of some of the larger buildings. The only problem I see with the whole thing is that the buildings are probably going to easily be knocked about a little when gaming. 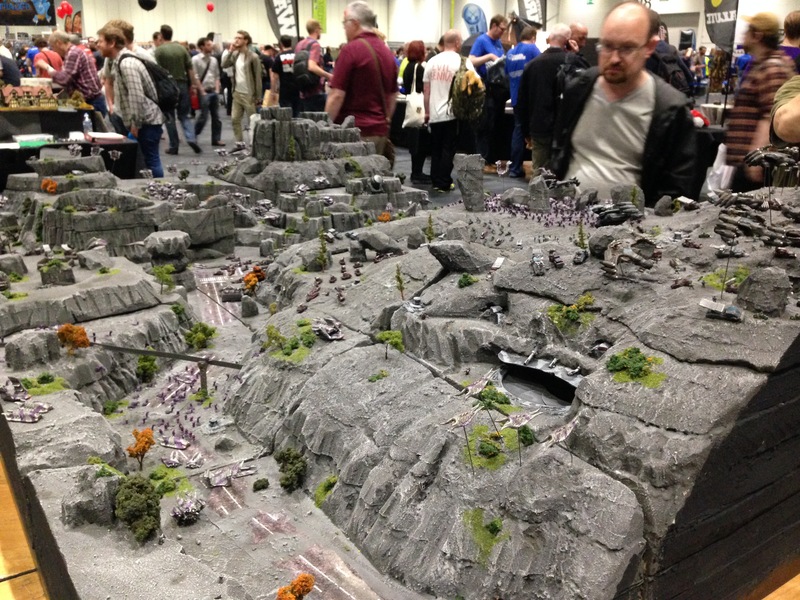 Now this is nothing new but as this terrain is so light in individual pieces I can see this being more of an issue than with other, heavier terrain pieces, but for the price I’m not sure you can really argue against it. We’re hoping to have a game using it very soon, if I’m feeling generous I might even take some piccies of it in use. However, from an assembly point of view and seeing it all together I must say that this really is a bargain and a very nice set, for the price you’d pay for a single kit from other manufacturers you have a full battlefield to play over. I am really looking forward to using it. Although I might let some of the other guys have a go at assembling the other set so I can get on with getting my army painted.